Most gamers have fond memories of more than one Konami games. Now, the company has created a survey about which classic Konami games we want them to remake for our consoles, PCs, or smartphones. 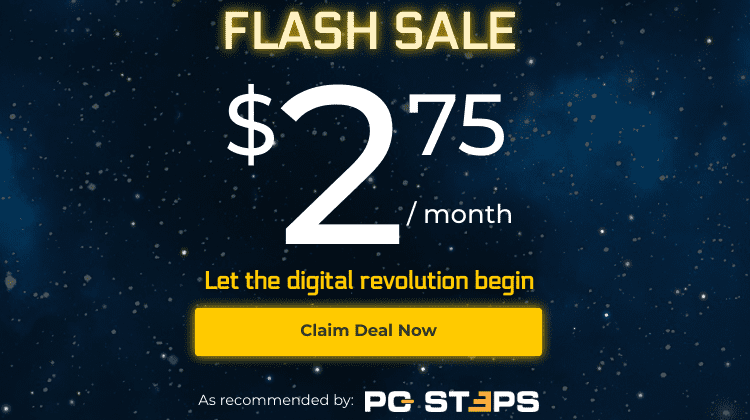 We also get a chance to win 200$ in Amazon gift cards. 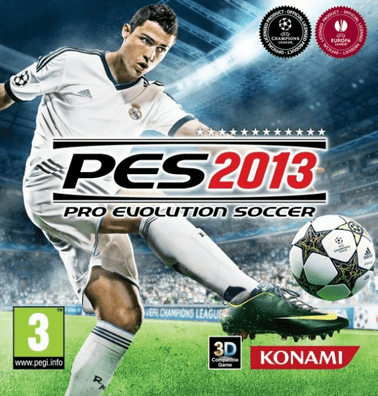 Which Konami games to bring back? 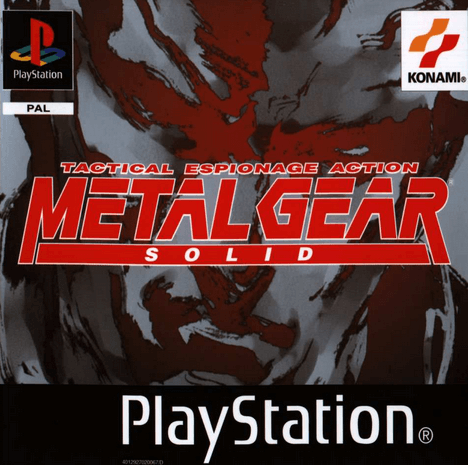 Which Konami games do you want to see re-launched? After Square Enix released Final Fantasy VII for iOS, Konami apparently decided to take a leaf out of their book and bring a classic game series back from the dead. However, before the corporate executives choose a game series, the company wanted to know the gamers' opinions first, regarding both the choice of the game and the preferred platform. The Heritage Games Survey is a short survey - it shouldn't take more than a couple of minutes - which allows us to select between fourteen Konami games and game series, some more well known than others. After we select the games we at least know of, we select which ones we have played, and answer simple questions. Those include how much we liked each game we have played, which were our favorite elements, how interested we are in playing a new launched version, and which platform would be the more suitable for each game. The survey will also allow us to name our Konami games we would like to play again, beyond the original fourteen titles. 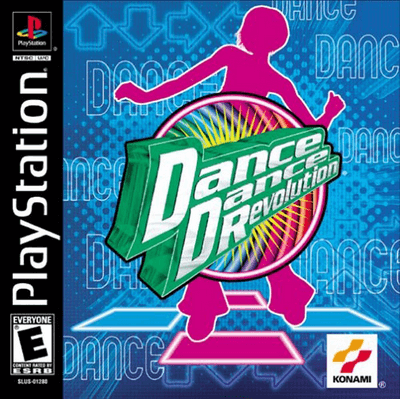 So, if you ever wanted to see a Silent Hill / Dance Dance Revolution crossover, this is your chance. 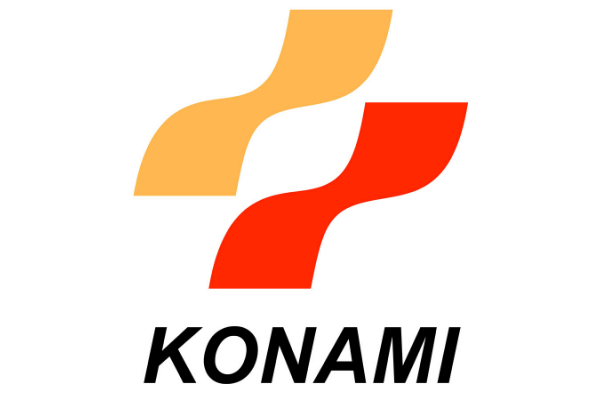 Take the Konami games survey. 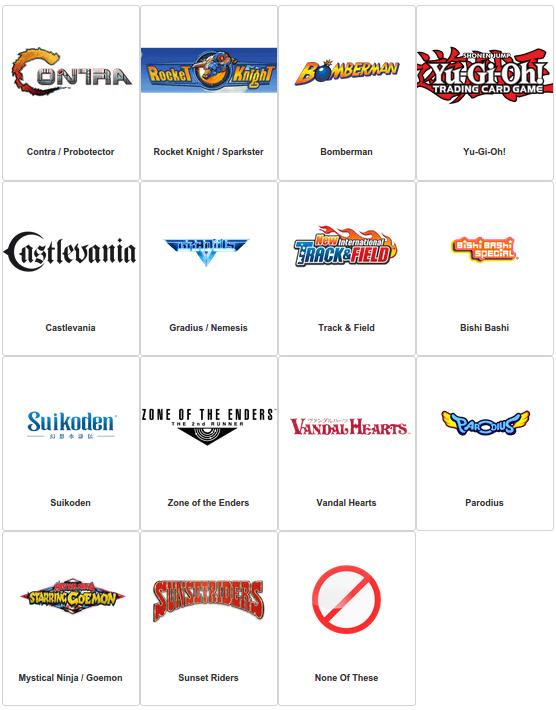 Did you like one or more from the fourteen Konami games the survey includes? 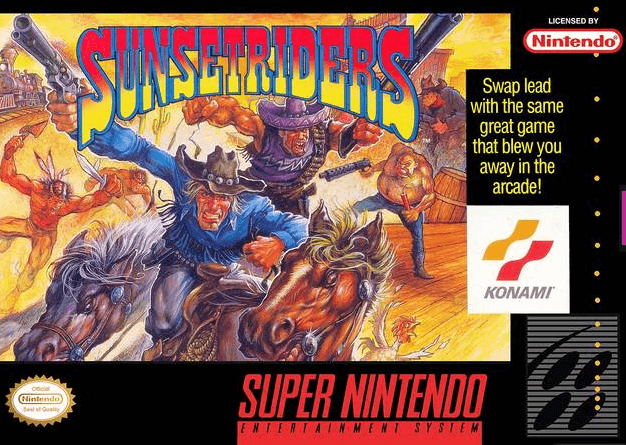 Did you have another Konami favorite you wish to play again? Leave us a comment. Well, i was once a passionate Yu-Gi-Oh collector and i would like to see a nice cross platform Multiplayer Game, with nicely made 3D animations, competitive etc.. I think everyone knows Yu-Gi-Oh and it could, with a good promo and marketing strategy, beat down today's leading card emulators like Hearthstone. Also, a new 3D Mobile Bomberman would be awesome with Multiplayer features.